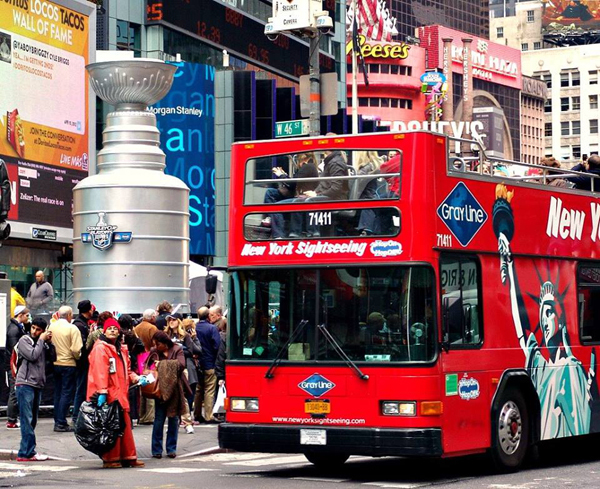 You’ll experience an unforgettable tour of the city when you take a ride with Gray Line New York Sightseeing. 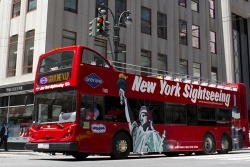 Daily tours of Manhattan are available on open-top deluxe double deckers (enclosed during the winter) and luxury coaches. With a hop-on and hop-off approach to sightseeing, you can spend more time exploring the destinations that interest you while still getting an encompassing view of New York throughout your day. 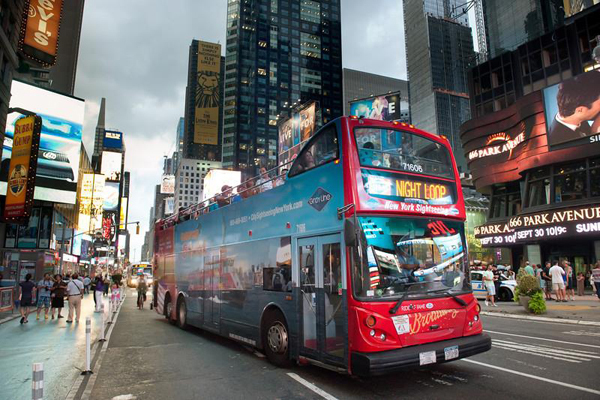 Tour options range from the Freestyle New York, a 72-hour hop-on hop-off tour that covers Manhattan, Brooklyn, and the Bronx, to the All Around Town 48 Hour Tour + 1 Attraction that includes the choice of a ticket to great attractions like the Empire State Building Observatory, Ripley's Believe It or Not!, or the 9/11 Tribute Center. 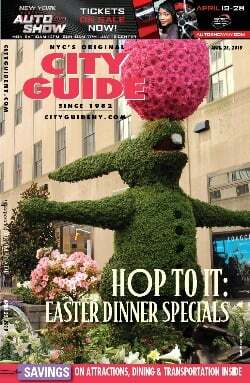 Also worth checking out are the Downtown Tour, Uptown Tour, Brooklyn Tour, and the Night Tour/Holiday Lights Tour, all of which offer localized explorations of the city. All tours offer commentary in a host of languages: English, French, German, Spanish, Italian, Japanese, Korean, Mandarin, Russian, or Hebrew. And of course, there's a licensed guide on board who'll give you the whole story live. You can even tour New York by air or sea with Gray Line New York Sightseeing, with both cruise tours and helicopter tours available to the public. Discounts are available for children. Follow Gray Line New York Sightseeing on Facebook, Instagram, YouTube, and Twitter.